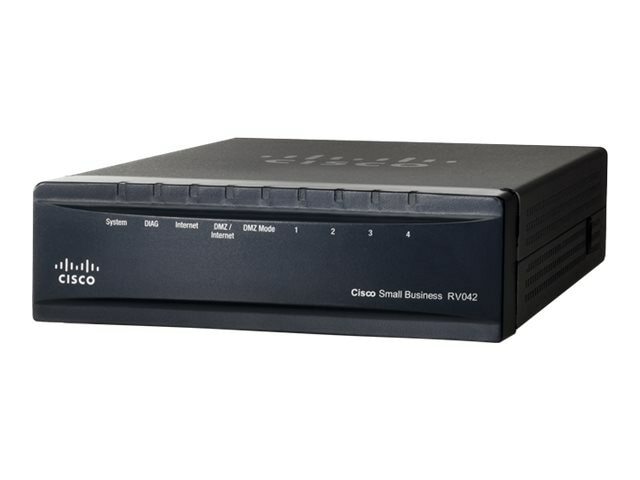 The 10/100 4-Port VPN Router is an advanced Internet-sharing network solution for your small business needs. Like any router, it lets multiple computers in your office share an Internet connection. But the unique dual Internet ports on the 10/100 4-Port VPN Router let you connect a second Internet line as a backup to insure that you're never disconnected. Or, use both Internet ports at the same time, and let the router balance your office's requirements between them for maximum bandwidth efficiency. The 10/100 4-Port VPN Router also features a built-in 4-port full-duplex 10/100 Ethernet switch to connect four PCs directly, or you can connect more hubs and switches to create as big a network as you need. You can configure this product by calling Cisco technical support.